Spanish tennis ace Rafael Nadal confirmed on Wednesday that he will miss the Brisbane ATP 250 tournament. 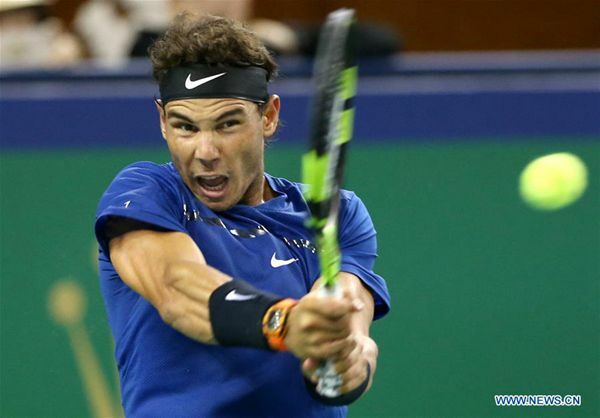 Nadal, who missed the end of last season after ankle surgery, had been due to face Jo-Wlifred Tsonga as he gears up his preparation for the Australian Open, but announced a muscle injury has forced him out of competition. "I did an MRI scan and it shows a small strain on my left thigh. I tried to play, I wanted to play, but recommendations from the doctors were otherwise," confirmed the Spaniard. "It is only a small thing, but it could become much more important. When you compete the intensity of the muscle would get worse. I feel better than I did four days ago, but if I play here, I risk damaging my body for a month," he explained. Nadal has not played a competitive game since retiring from the semifinals of the US Open on September 7th and although he did play Kevin Anderson in an exhibition tournament in Abu Dhabi last week, he lost that match and then pulled out of the 3rd and 4th place play-off as a precaution. Nadal said that he now hopes to return to action in another exhibition tournament in Sydney at the start of next week.